START UP combines STOP AMMO START and BIODIGEST START in the same pack. The pack enables you to quickly get biological filtration underway and to introduce the first fish within a few hours. STOP AMMO START is made from plant extracts which are chosen for their capacity to trap ammonia nitrogen. One of STOP AMMO START’s properties is that it reduces nitrite production when a new aquarium is being started up with a specific adapted concentration. 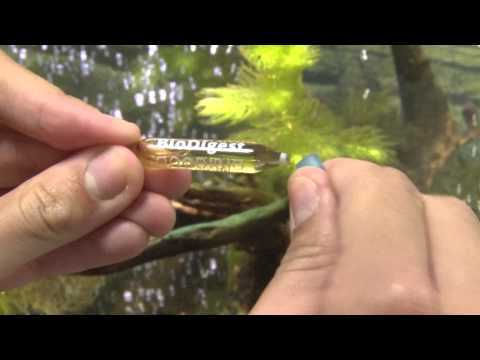 BIODIGEST Start is made up of natural nitrifying, nitrate reducing and facultative strains selected for their ability to kick start the aquarium nitrogen cycle and therefore convert ammonia into nitrites, nitrites into nitrates and nitrates into nitrogen. These bacteria (50 billion in each 1ml ampoule) work together with each strain finishing off the work started by the others. START UP enables you to quickly introduce 1/3 of your toughest fish into your new aquarium (after four hours for freshwater tanks and 12 hours for marine water tanks). When should Start_Up be used?